A Knoxville man was arrested Monday after police found seven forged checks in his possession. 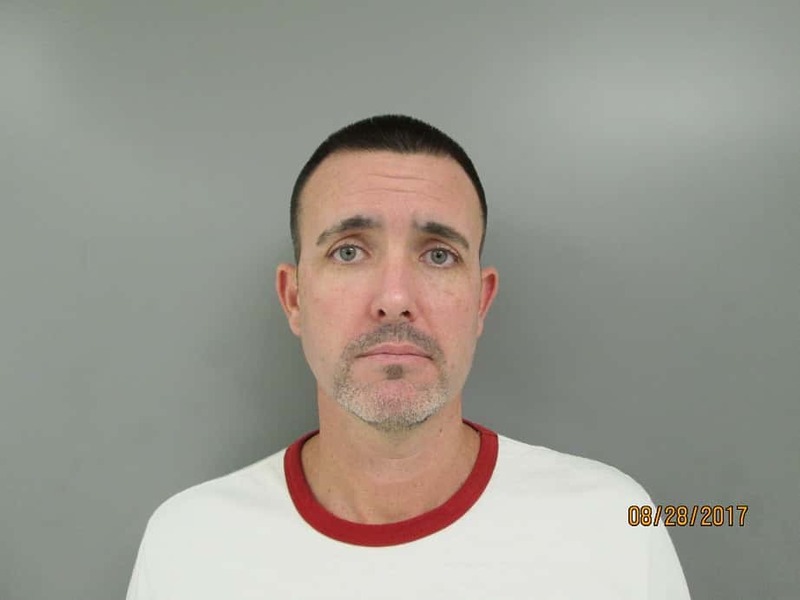 Colby Thompson, 40, of Knoxville was arrested Monday following an incident in which police were called to a Knoxville residence where officers had received a report of a woman being held against her will. Police made contact with the victim who told them she had been threatened with a knife by her boyfriend. Officers located seven stolen checks written out to Thompson. Thompson was found hiding in a gazebo in the back of the residence with several other stolen items which included blank checks and a new credit card. According to court documents the stolen checks were taken from a house in Des Moines during a burglary. Thompson was arrested and booked into the Marion County Jail. During the booking a piece of paper was found in his wallet with included personal information of the victim. It was determined that Thompson had used the information to open credit cards in the victim’s name. Thompson was charged with seven counts of forgery, a class D felony, theft in the third degree, possession of stolen property, domestic abuse assault displaying a dangerous weapon and identity theft. Thompson is being held at the Marion County Jail on $6,000 bond.